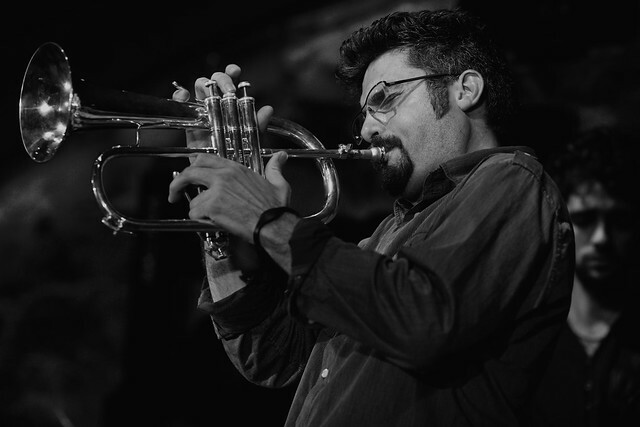 In the evening, at the Centro Cultural San Martin, Catalan Guillermo Calliero will be playing for the jazzology program starting at 8.30pm. Sarmiento 1551, Downtown. Starting at 9pm at Cafe Rivas in San Telmo, the weekly Gringo Stand Up will provide a night of laughter and jokes in English. Estados Unidos 302, San Telmo. 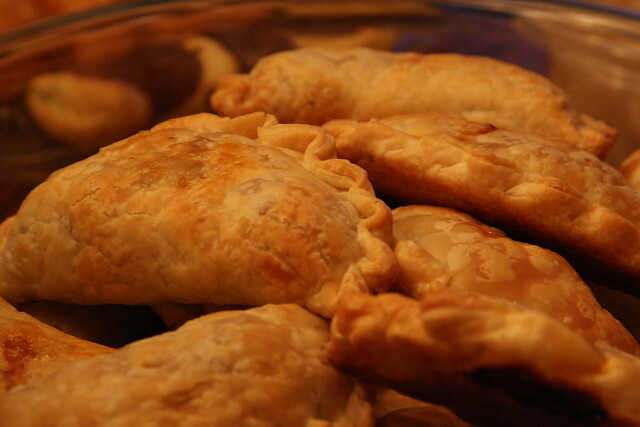 Book your place for Teresita’s empanadas class where you will learn the secret to this delicious local staple and then, the best part, you will get to eat them and drink Mendoza wines! More information here. 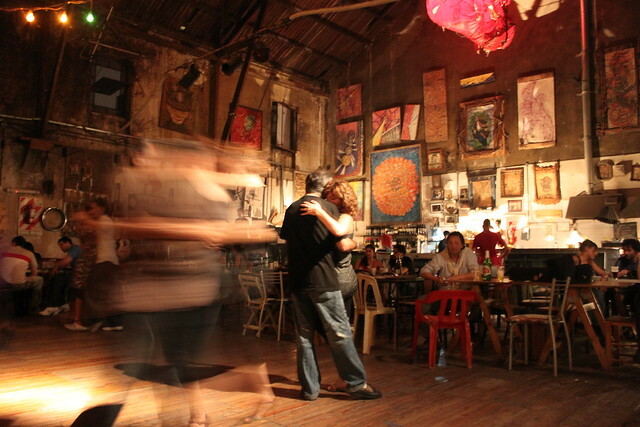 Later on stop by one of these new city hotspots or, check out one of our favorite Palermo bars! ANDA Responsible Travel is a tour agency that promotes social and environmentally friendly tourism. One of the alternatives they offer is booking one of their experts to discuss in-depth economy, politics, history and culture of Argentina over coffee. Choose one of the city’s historical cafes and put yourself in context. More information here. The Colón Theatre is one of the city’s hottest attractions and for good reason. Starting at 8.30pm, there will be a concert of romantic classical music (Claroscuros e Intensidades) making for a great opportunity to experience the theatres acoustics and elegance. Tickets here. If you’re traveling with kids don’t miss the Disney on Ice shows from the 13th of July to the 27th of July at the Luna Park Stadium. Tickets here. No visitor to the city can leave without taking a tango lesson and the informal and friendly La Catedral is just the place to do it. Sarmiento 4006, Almagro. 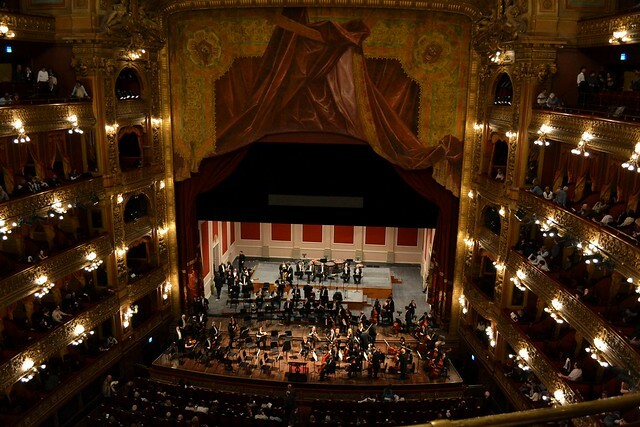 The Colón Theatre is one of the city’s hottest attractions and for good reason. On Saturday at 11am there will be a free concert featuring the Petrus String Quartet. Tickets must be picked up in advance at the theatre. Av Belgrano 836, Downtown. Throughout the weekend there will be a special Ikebana exhibit at the Japanese gardens in Palermo. Av. Casares 2966, Palermo. This entry was posted in Buenos Aires Agenda and tagged Agenda, argentina, art exhibits, Bar Notable, buenos aires,, Cooking classes, events, Live Music, nightlife, Porteños, this week, wine tasting by Fierro Hotel Staff. Bookmark the permalink.